There seems to be a bit of a trend developing for naming yourself after a mid 90’s American sitcom. We’re not sure who was first but now we have ‘Ross From Friends’ and the subject of todays post, DJ Seinfeld. Whats next? MC Cheers, or perhaps DJ Crane… Who knows! As long as everybody knows your name, thats the important thing, right? Well and the music. So does the latest 90’s sitcom riffing producer get stuck in second gear, or is DJ Seinfeld – Season 1 EP more than just an attention grabbing gimmick? A few weeks back we commented on the fact that there appeared to be a growing movement toward producing more traditional and raw sounding house beats. We referenced standout work by Raw M.T, TRP and most recently Radio Slave as prime examples of this emerging sound… Well you can now add the enigmatic DJ Seinfeld to that list. 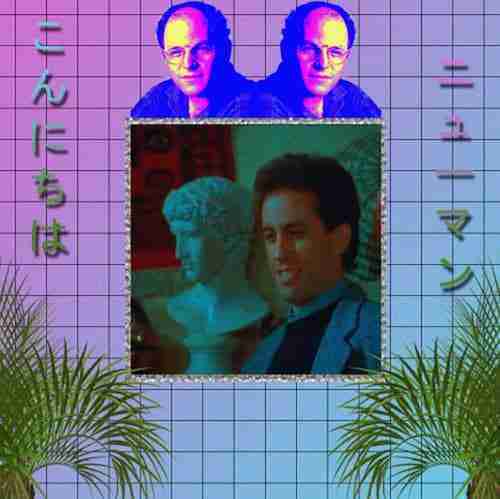 DJ Seinfeld Season 1 EP was initially released in the closing weeks of 2016, via one of our go to labels – Lobster Theremin. Unfortunately, despite this prime connection, we somehow managed to miss the record first time round. An oversight that meant we didn’t get to include it in our end of year run-down: Best Tracks of 2016, or even purchase a copy for ourselves. Thankfully Lobster Theremin, or in this case Lobster Fury have elected to repress DJ SEINFELD Season 1 EP. A decision that we should all be very grateful for. Particularly if you like your House Music and Techno to be at the rawer end of the sonic spectrum. Incidentally our pick from the EP is the electrifying, if slightly left of centre, hands in the air moment – Konets Sveta Minimix. Highly recommended.